Saint Luke's has a long tradition of musical excellence, and our worship and music reflect this heritage while being ever flexible to remain vibrant and living. 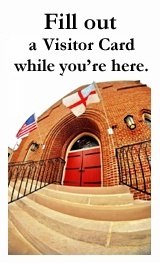 Saint Luke's music program is a treasured part of the worship service for many parishioners. The Saint Luke's Choir provides vocal leadership during the 10:30 am service, supporting the congregation in traditional hymns and offering inspiring sacred pieces. 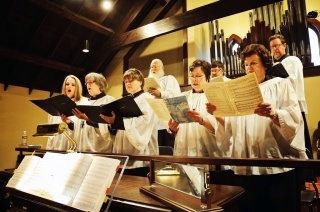 The choir’s primary role is to lead Saint Luke's in corporate song, and the choir thus leads worship every Sunday of the year, in addition to other holy and feast days. If you would be interested in singing in Saint Luke's choir or to learn more, please contact Cody Blue Miller, our Interim Organist and Choirmaster.